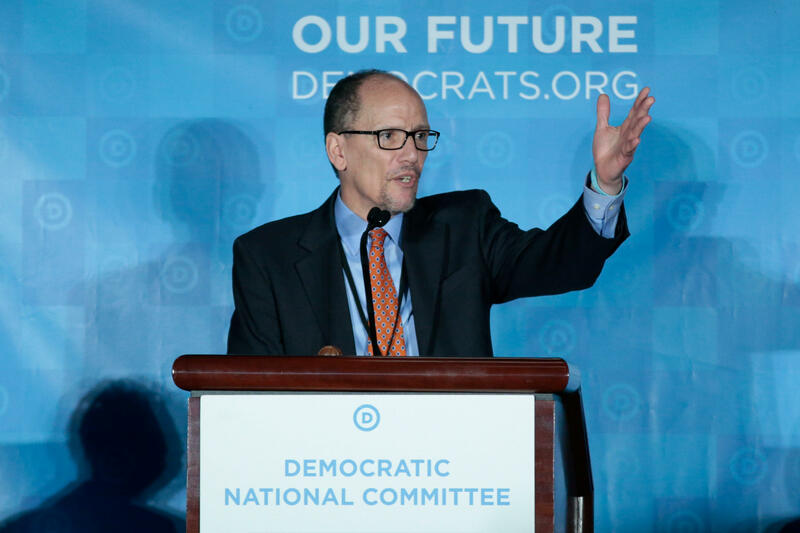 Former Labor Secretary Tom Perez was elected as the new chairman of the Democratic National Committee (DNC) in Atlanta on Saturday afternoon after a competitive race against Rep. Keith Ellison and five other contenders. Perez won after reaching the threshold of 218 votes out of the 435 members of the DNC. Perez received 235 votes while Ellison had received 200 votes. This came in a second round of voting after Perez failed to reach the threshold by one vote. Former Vice President Joe Biden, former Agriculture Secretary Tom Vilsack and former Attorney General Eric Holder had backed Perez. Ellison, a Minnesota Democrat and the first Muslim elected to Congress, had received support from Senate Minority Leader Chuck Schumer, D-New York, 2016 Democratic presidential contender Bernie Sanders, I-Vermont, and Sen. Elizabeth Warren, D-Massachusetts, who could run for president in 2020. Will Democrats rally around Tom Perez? President Obama issued a statement after the results were announced. Hillary Clinton, who stayed out of the race, also tweeted about the outcome. Other candidates in the race included Pete Buttigieg, mayor of South Bend, Indiana; Sally Boynton-Brown, the executive director of the Idaho Democratic Party; South Carolina chair Jaime Harrison; Raymond Buckley, chairman of the New Hampshire Democratic Party; and former TV commentator Jehmu Greene. Perez replaces Donna Brazile, who had been serving as the DNC’s interim chairwoman following the resignation of Rep. Debbie Wasserman Schultz from that role last summer. Wasserman Schultz resigned amid fallout from hacks into the DNC, which the U.S. intelligence community eventually concluded was part of a campaign ordered by Russian President Vladimir Putin for his government to interfere in the 2016 election and help sway its outcome in favor of Donald Trump. The race also comes after the last cycle’s bitter primary campaign between Sanders and Clinton, who went on to become the party’s nominee. Even though Clinton had stayed out of the race for DNC chair, she delivered a message to DNC members in a video Friday. “Let resistance plus persistence equal progress for our party and our country,” she added.